Hereford judging classes were held at the Royal Melbourne Show on Monday 1 October. Tondara Herefords, Urana NSW were awarded Most Successful Hereford Exhibitor on the day, winning several classes and coming away with numerous broad ribbons. Junior champion Hereford heifer was won by 13-month-old Tondara Ave Maria 2, sired by USA sire Chac Mason 2214. Grangeview Park Nadia was awarded reserve junior champion heifer. 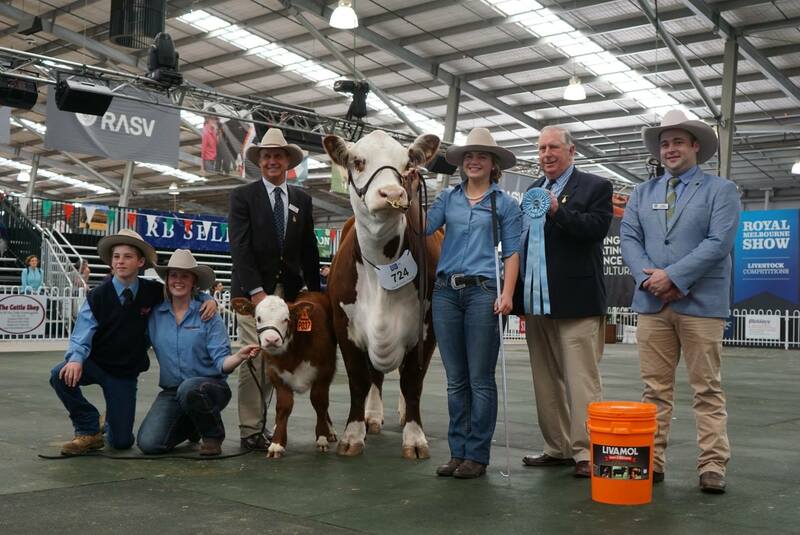 The sashes for senior champion Hereford female, grand champion Hereford female and supreme Hereford exhibit were all awarded to Kanimbla Harmony K157, exhibited by Tondara Herefords and Jordan Alexander. The four-year-old cow was sired by Merawah Export F21 and was exhibited with a 2018 born bull calf at foot. Reserve senior champion female was awarded to Llandillo Silky, exhibited by Grangeview Park Poll Herefords, Axe Creek, Victoria. 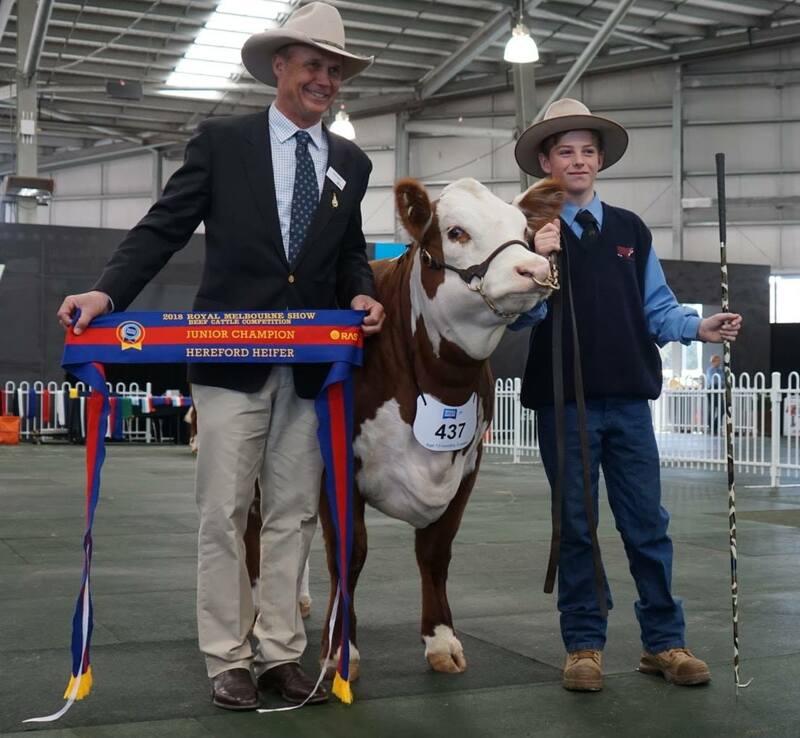 Tondara Hereford Stud claimed both the champion and reserve champion sashes in the junior Hereford bull division. Tondara Mr H N304, sired by Kanimbla Power Play J066 was awarded champion, and 14-month-old Tondara 7 Up N317 was named reserve champion. Grand champion Hereford bull was won by the senior champion exhibit; Grangeview Park Mascot, exhibited by Grangeview Park Poll Herefords. Sired by Wagga Caesar, 22-month-old Grangeview Park Mascot has above average EBVs for all growth traits. Reserve champion senior Hereford bull was awarded to Tondara About Town M009. Junior champion Hereford heifer was awarded to Tondara Ave Maria 2, exhibited by Thomas Holt, Tondara Herefords. Supreme Hereford exhibit was awarded to Kanimbla Harmony K157, owned by Tondara Herefords and Jordan Alexander. 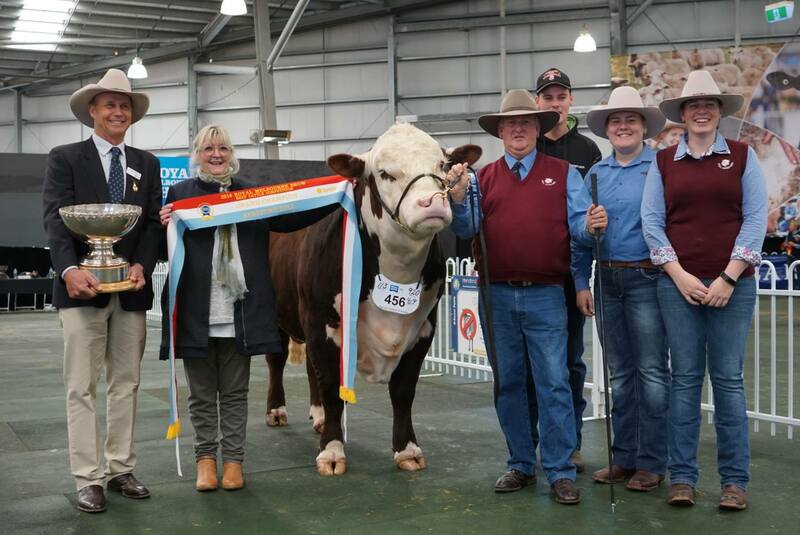 Grand champion Hereford bull was awarded to Grangeview Park Mascot, exhibited by Grangeview Park Poll Herefords.